Countless articles with the words "millennials" in the title will have come out by the time I've finished this article, and the people who click on those headlines are generally not millennials. Less than one-third of my interviewees admitted to reading millennial-based publications. Peggy*, one such interviewee, went further by telling me she actively ignores articles with the word millennial in it, as do her friends. According to them, it either sounds like obvious marketing, incendiary, boring, or all of the above. Continued Peggy, "So many times, I see stereotypes being perpetuated by publications. The way we are perceived is more accurate as compared to a few years ago, but that isn't say [sic] much. There is still a tinge of a negative connotation with the word even if the article is positive. Enough has been written about Gen Y already. Let's move on." I was surprised to hear that every single employee I surveyed had negative views on bonuses versus raises. All of them said they would prefer raises. When asked why, they stated taxes as the biggest reason; bonuses can be taxed approximately 25 percent. It comes down to what's called "supplemental income." Although all of your earned dollars are equal at tax time, when bonuses are issued, they're considered supplemental income by the IRS and held to a higher withholding rate. The second reason expressed is the uncertainty associated with bonuses. Maggie, a Brooklyn resident, said the consistency of a raise in her paycheck is more attractive than some "nebulous bonus" structure. "Not only is it nerve-racking to not know if I'm getting a bonus, but for someone living in NYC, it's serious. I mean, after going through the awkwardness of asking for a raise in the first place, to having your boss say you're not getting a raise but here's this maybe or maybe not bonus is like dangling a carrot." To Maggie and many others, the crux is that raises just feel better. A raise says, "we value you", while a bonus says, "we're temporarily appeasing you". According to a 2011 study by TBWA/Worldwide and TakePart, 7 out of 10 millennials consider themselves as socially active, a number that doubled from the previous year. 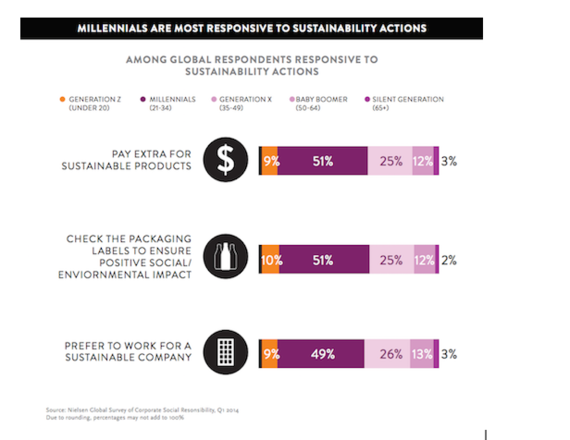 And a recent 2014 Nielsen Global Survey, reported that millennials are the most socially conscious generation from ages 20 to 65+. 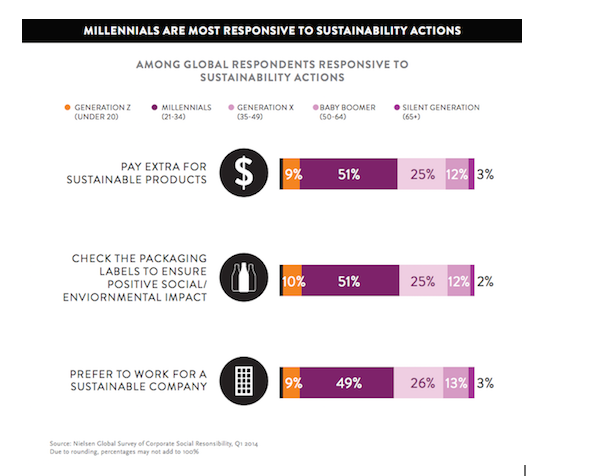 Millennials share a social responsibility on a global and domestic scale. 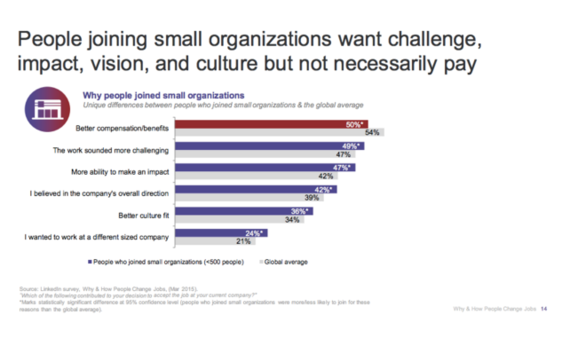 This social responsiveness often translates to where they choose to work. In the words of another interviewee, Carl*, "Our parents and grandparents had a specific idea of what success meant. What success means for me is being driven by purpose. I would rather bike to work than drive a car from the 'burbs, I would rather work at a place that is socially conscious. I want my life to align with my values in both my work and home life." Very few listed getting rich as a huge factor in choosing their jobs, but they don't want to be undervalued either. 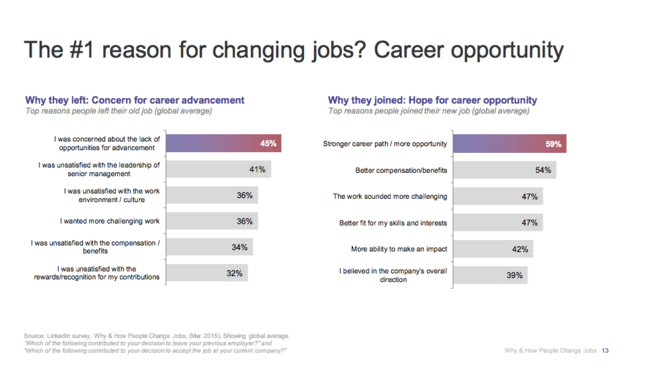 Millennials aren't afraid of work. According to a New York Time article, the Baby Boomers created a financial economy that now calls for millennials to work more than their predecessors for less pay. So inherently, millennials have to work harder to get less but they're generally ok with that. Of the people I interviewed, it wasn't low pay that prompted them to leave former jobs. It was stagnant work culture, feeling like they were not making a real impact in their roles, and/or no foreseeable promotion or career track. 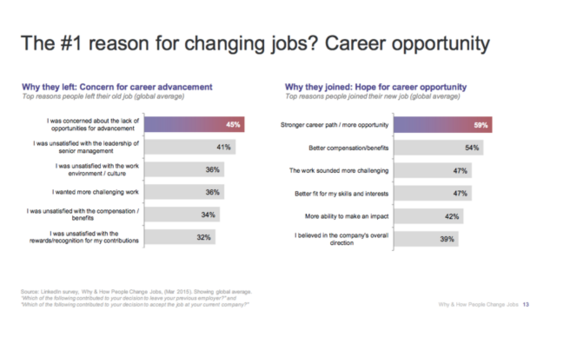 A LinkedIn Survey "Why & How People Change Jobs" supports this sentiment listing "concern for career advancement" as the leading cause of why people leave their jobs. Randy* who recently quit a job that promised him the possibility of a managerial role but didn't deliver quipped, "Millennials are known to be job hoppers, but maybe not for the reasons people think. I felt like I was wasting my time at a company that wasn't transparent. I didn't mind working like crazy, but not without knowing whether I was getting anywhere or being of value." 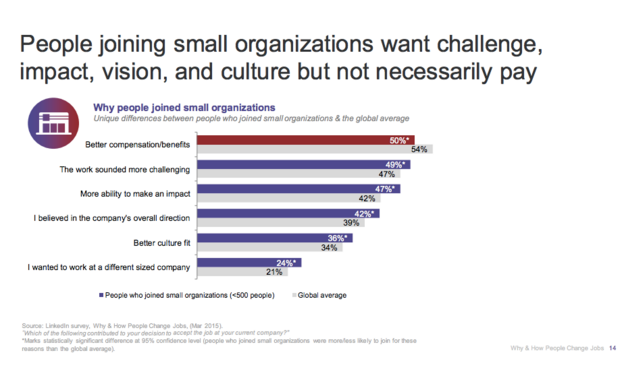 The Millennial Impact Report found that millennials are eager to do more, connect more, and become part of something more. Politically, their numbers got Obama elected and their turnout will most likely have everything to do with who will get elected this year. Even if people accuse millennials of being too young to know what they want, this generation's power is undeniable. 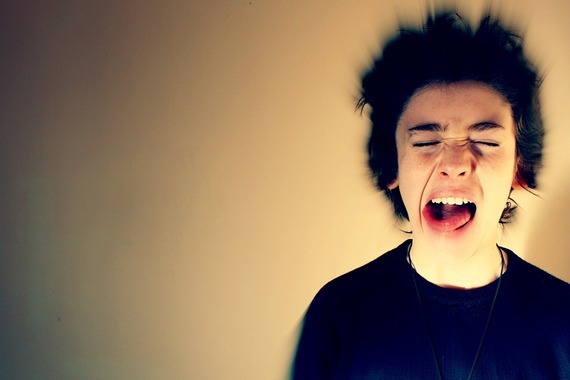 Millennials are firmly here, so start treating them with respect. Not doing so is boring at best, and dangerous at worst. Millennials are not that complicated. Baby Boomers especially have a hard time with millennials who refer to the "American Dream" a lot less often than their predecessors. That is not to say that the dream doesn't exist. Millennials have a vision for the future; they just dream it happening on a different playing field. In order for companies to keep up with the Millennial Joneses, they may want to first start calling them by a different name. After working with some of the most talented, driven, and passionate people in this demographic, I for one think they've earned that.